Captain Corelli’s Mandolin is mostly set on the Greek island of Cephallonia during WW2, and tells the story – or rather, a very personal story – of its occupation by the Italian and German armies. It’s the story of Dr. Iannis and his daughter Pelagia, a young woman much too smart and independent for her time and place; of Mandras, Pelagia’s betrothed, who joins the Greek resistance and is almost driven crazy by what he sees; of Drosoula, his mother, a woman whose widowhood has doomed to invisibility; of young Lemoni and the pine marten she find and tames along with Dr. Iannis and Pelagia; of Carlo, a gay Italian soldier who joined the army in the hopes of finding someone to love; and of course, of Captain Antonio Corelli (and his mandolin) – a sensitive, funny, intelligent, artistic, and vaguely embarrassing and apologetic Italian invader who the Greek characters grow to love despite their determination not to. Captain Corelli’s Mandolin is a fictional social history of a forgotten side of WW2, told in a style reminiscent of Gabriel Garcia Marquez. It’s a sweeping, passionate, and alternately hilarious and heartbreaking novel, and it’s and a novel that does the very things I love the most about historical fiction: it fills the gaps in history; it focuses on the individual human costs of the political bigger picture; it draws attention to the cobwebby corners of the past that seemed doomed to being forgotten; and most importantly of all, it humanises them in a way that a simple factual account never could. I had only the vaguest idea of what had happened in Greece during the Second World War before reading this book. And I had somehow never even heard of the massacre of Cephallonia, which cost over five thousand people their lives. I won’t tell you more than this about it, though, because as unfortunate as it is that it isn’t remembered more widely, perhaps it’s not a bad thing for readers to have it take them by surprise as they read this book—I know that after this I won’t forget it any time soon. Captain Antonio Corelli, the character who gives the novel its title, doesn’t make his first appearance until a good two hundred pages into the book. So yes, Captain Corelli’s Mandolin starts off slowly, but the back story is absolutely necessary. The fact that you get to know the characters so well is a big part of what gives the book its emotional power. Furthermore, the fact that we get a glimpse of pre-war life in Cephallonia allows the contrast between the then and the now to be all the more marked. Much like the characters, you barely realise there’s a war coming, and even after it does come, you sometimes forget it’s on at all. But then come the hunger, the unspeakable violence, the death, the grief, the misery, and the wounds that last a lifetime. 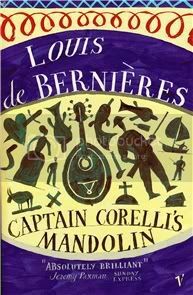 Having said that, Captain Corelli’s Mandolin is a book that crept up on me. I didn’t realise at first just how much I had grown to care. In the final a hundred and fifty pages I knew I was sufficiently emotionally invested in the story to cry; but then again, I’ll readily admit it doesn’t take that much for that to happen. It was only after I finished the book that I realised how much it had affected me and stayed with me. I dreamed about the characters for two nights straight. I found myself missing them terribly. I miss them all still. According to Dante my like is confined to the third ring of the Seventh Circle of Nether Hell, in the improbable company of usurers. He gives me a desert of naked spirits scourged by flakes of fire, he makes me run in circles, perpetually and in futility, looking for the ones whose bodies I’ve defiled. You see how it is; I have been driven to search everywhere just to find myself mentioned. I am mentioned almost nowhere, but where I find myself, I find myself condemned. And how remarkable it is, you doctors and priests, that Dante pitied us when God did not. Dante said, ‘It makes me heartsick only to think of them.’ And Dante was right, I have always run in circles, futilely, looking for the warmth of bodies, scorned by God who created me, and all my life has been a desert and a rain of flakes of flame. Yes, I have read everything, looking for evidence that I exist, that I am a possibility. And do you know where I found myself? Do you know where I found out that I was, in another vanished world, beautiful and true? It was in the writings of a Greek. Other than Carlo, my favourite character was Pelagia. First of all, I have to confess it took me a while to make sense of how the book dealt with the whole theme of gender: in one of the initial chapters I was taken aback by a joke about battered wives. There’s of course a world of difference between portraying a certain attitude or mindset and the kind of world in which it’s prevalent and endorsing it or dealing with it lightly, and the very last thing I want is for literature to sweep anything disagreeable under the rug. But at first it can be hard to tell, with a storyteller you don’t yet know and trust, how the narrative as a whole frames the characters’ stance on certain things. Fortunately, as the novel progressed, Louis de Bernières completely earned my trust. Corelli lost part of my respect towards the end with a comment about “damaged goods” in reference to – I kid you not – women raped during the war. But that’s the character; not the book as a whole. Comments like these are not gratuitous, and while the narrator does not of course address them explicitly (not being George Eliot, I doubt he could get away with it), there’s ample room in the narrative for a consideration of their consequences. So all in all, Captain Corelli’s Mandolin dealt with gender very satisfyingly, and it took Pelagia and her plight – as I said, a smart and educated young woman in a world not really ready for it – absolutely seriously. Captain Corelli’s Mandolin is a love story, a very human account of the war in Greece, a plea against totalitarianism of any sort, and a book that effortlessly combines humour with gut-wrenching moments. I couldn’t have loved it more. This marks the ending of my unofficial quest to read five books from my tbr pile this summer that you picked for me. I owe you a big thank you: I loved Half of a Yellow Sun, Atonement, and this, and I had a lot of fun with The Sweetness at the Bottom of the Pie and The Eyre Affair. We’ll need to do this again soon; clearly you know me well, and thus letting you make my reading decisions for me every now and then is evidently a very good idea. I know that the Duce has made it clear that the Greek campaign was a resounding Victory for Italy. But he was not there. He does not know that the ultimate truth is that history ought to consist only of the anecdotes of the little people who are caught up in it. He ought to know that the truth is that we were losing badly until the Germans invaded from Bulgaria. He will never acknowledge this because the ‘truth’ belongs to the victors. But I was there, and I know what was happening in my part of the war. For me that war was an experience that shaped the whole course of my thought, it was the deepest personal shock I have ever had, the worst and most intimate tragedy of my life. It destroyed my patriotism, it changed my ideals, it made me question the whole notion of duty, and it horrified me and made me sad. Love is not breathlessness, it is not excitement, it is not the promulgation of promises of eternal passion, it is not the desire to mate every second minute of the day, it is not lying awake at night imagining that he is kissing every cranny of your body. No, don’t blush, I am telling you some truths. That is just being “in love”, which any fool can do. Love itself is what is left over when being in love has burned away, and this is both an art and a fortunate accident. Your mother and I ad it, we had roots that grew towards each other underground, and when all the pretty blossoms had fallen from our branches we found that we were one three and not two. But sometimes the petals fall away and the roots have not entwined. Imagine giving up your home and your people, only to discover after six months, a year, three years, that the trees have no roots and have fallen over. Imagine the desolation. Imagine the imprisonment. It did not occur to him that he was a statistic, one more life warped and ruined by a war, a tarnished hero destined for the void. He was aware of nothing but a vanishment of paradise, an optimism that had turned to dust and ash, a joy that had once shone brighter than the summer sun, but now had disappeared and melted in the black light and frigid heat of massacre and cumulative remorse. He had struggled for a better world, and wrecked it. It has been a while since I read this, your review captures it perfectly. I feel like I've heard the name of this and seen it around, but never really paid much attention to what it was about or whether I'd like it. What a mistake! This is going to be an addition to my TBR pile. LOL you lost me at "a style reminiscent of Gabriel Garcia Marquez." :D Then again, I loved reading about your experience - when a book is powerful enough for you to dream about it for days? That's a wonderful feeling. This sounds like a really great book. I especially love the bits you picked out about Carlo. Definitely going on my wish list! That passage from Carlo's point of view is so heartbreaking- the lengths queer people often have to go to find people like them being celebrated. I'm glad you enjoyed this. Oh Anna! This is one of my most favorite books of all time, and after I read it, I went out and bought everything this author had ever written. I may have been the one to recommend this one to you, but I am not sure about that. I have never forgotten this book either, and think that it was written with such compassion and humanness. And Lemoni's fate...oh, just remembering it all now makes me want to pick this book up and read it all over again. So, so glad that you loved this book so much! It's a treasure. What a personal review of a a personal novel! I've only read one book by de Bernières and I REALLY didn't like it, but I also have a copy of this one and have been holding off on it. I'm so glad that it's a book worth reading; you've made me want to pick it up at once. I love when a book affects you so deeply, it begins to trickle into the rest of your life. LOL Amanda, I totally thought when I read that, "well, Amanda is never going to read this!" I think I saw the movie a long time ago. And if I recall, I found it dull which probably means that it makes a much better book. I'm so glad you loved it so much! That's the best kind of book! Do you know I got so close to the end with this one and put it down (just before the earthquake) never to finish it. I can't tell if it's because I couldn't stand anything else bad happening to the people in the book, or because (I seem to remember) there was no more Carlo. I <3 Carlo. I remember the scenes in the trenches, but had forgotten how well de Bernieres brings the problems for gay men at this time into the light. Thanks for the reminder! When I think of the second World War, I don't think of Greece at all! You've really got me interested in this book, though, because of the history and because the characters sound so real. Like they each have their own little lives that merge together and make this book as a whole. I need to read this one! I read this way back before the film came out, and loved it then, I've read a few other by De Bernières and while I didn't *love* them all they are worth reading. Especially Birds Without Wings, which has some teeny cross-over characters with Capt. Corelli. Also, if you haven't seen the film, don't bother. It isn't a patch on the book. Your review really makes me want to get to this one: I've had it kicking around for years and it's beckoning to me now. This sounds like the perfect book for me on so many levels - the setting, the time, social history, humor. It sounds like this book has it all. Another one for my wish list. Meghan: I didn't actually know much about it either, but I mooched it based on the fact that Memory mentioned it was one of her favourite novels. I'm so glad I did! Amy: It's so heartbreaking and well-worded, isn't it? Steph: Fingers crossed that this works better for you than that other book of his! Amy: Sigh, I thought the same, but I couldn't avoid the comparison :P And yeah, from what I hear, the movie is really not a good adaptation. Emidy: I didn't either, and yet so much took place there. It's amazing how much is forgotten. Fence: I'll keep Birds Without Wings in mind! And yeah, I do think I'll avoid the movie. Kathy: It really does have it all! I hope you'll enjoy it as much as I did. I have to admit I'm not much of a crying type person, but I'm very much with you on the dreams. If a book is..profound? enough, I'll spend days dreaming about it. I need to read this book. This review just cemented that. I love Greece. And that cover...sigh. Love it. This sounds interesting. I really don't know much about this time period and since you compared de Bernieres style to Marquez, well, I'm sold. I'm so glad you loved this! It's one of my very favourite books. Trisha: I rarely dream about books, but I really love it when it happens! It means the book has really stayed with me. Jessica: Isn't the cover gorgeous? I notice that all his books have great covers - I should look up who the artist is. Memory: I know; that's why I picked it up :P Thank you for the recommendation! Oh, Ana... I'm so glad you loved this! It's one of my all-time favorites. as a real alfacinha, I think it took me 30years to try snails - though I was not starving hungry in any of them. And seriously, they are awesome, just consider them "buzios" or "percebes" or even shrimp, just you know of the land. Good cooking is important and some beer ( Sagres must be said. The geographical stereotype holds true, Super Bock just does not go the same way with snails) and toast with butter. Seriously. About Wodehouse, if it does not click leave it for a while try again in 10 or 20 years. But for sure try 20s/30s Wodehouse and that particular short story. Or now I think of it, one of the early Blanding Books might be the thing. If I had a pick of anywhere in fiction to go on a short travel I am going to go to maybe Middle Earth, maybe The Culture, or maybe a nice house party in the summer at Blandings Castle. Great review Nymeth. I love how you say that historical fiction 'it draws attention to the cobwebby corners of the past that seemed doomed to being forgotten'-fantastic! I watched the film version years ago and didn't care for it. Nicholas Cage is in it. 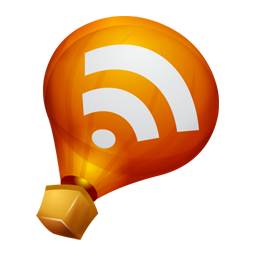 Yes, I read this pre-blogging, and enjoyed it thoroughly. Thank you for your excellent review. Now I have to read it again! I know very little about Greece during WWII, so I've added this to my to-read list! I'll link to your review on War Through the Generations soon.